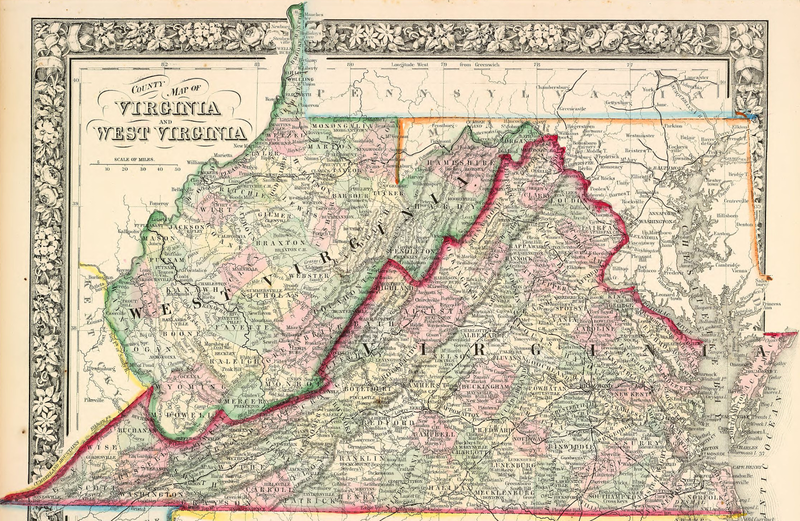 When we were still living overseas, we often get the question of where we are from Virginia. We would always tell them that we are from West Virginia and not from Virginia. 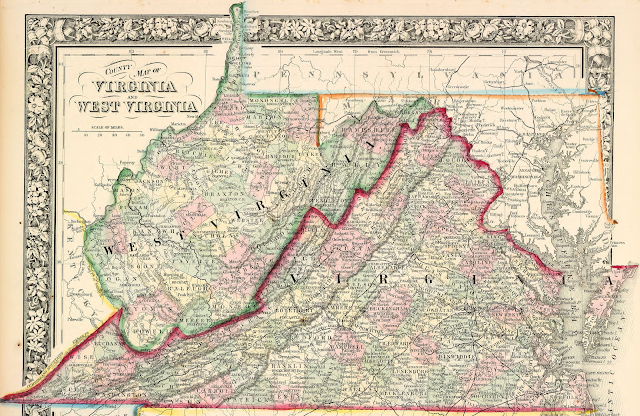 Apparently, some people think that Virginia and West Virginia is just one state. For those who are still confused, here's a map. Virginia is a lot larger than our small state. Anyway, I want to share this place that we saw during our recent road trip to New River Gorge. The place is called I-79 Technology Park. It is located within the heart of the I-79 High Technology Corridor just south of Fairmont, West Virginia. The location of the I-79 Technology Park places is within one day’s drive of 60% of the U.S. population and some of the Nation’s largest cities including New York, Boston, Washington, Chicago, Atlanta, Charlotte, Philadelphia, Baltimore, Pittsburgh and Indianapolis. The I-79 Technology Park is a home to over 30 businesses which includes FirstEnergy Corp., Lockheed Martin, Time Warner Cable, and National Aeronautics and Space Administration (NASA) just to name a few. It would be neat to tour this huge facility. My children were amazed of the humongous technology infrastructure that you can see from the road. It must be nice to really see what it's like inside the facility. I didn't know about this until we did our road trip. Traveling is really a pleasure and at the same time educational. The visitor and Tourism Centers in West Virginia all looks like this one. If you ever want to enjoy some nature adventure, come visit the Mountain State. West Virginia has a lot of beautiful parks that would sure satisfy your experience. We still have a lot of exploring to do in our own state. I told my husband that I would like to visit every parks we have here. I know that when we talk about vacation, our tendency is to visit places from other state but for me, exploring our own is also fun. I'll show some more places we drove through during our fun road trip. After a disappointing car hunting trip but later turned to a fun road trip to Columbiana Ohio, we headed to Indiana, PA the next day. Driving to Pennsylvania, I feel so different whenever we drive to Ohio. For some reason, I feel relax with our road trips in Ohio than PA. I think it has something to do with the roads we take. In Ohio, we usually go on mostly farm area roads while when we go to PA, it is always on the highway. I think it all depends on the places we go but that is just how I feel. I still enjoy any road trips though. We left around 11 in the morning, right after my daughter's piano lesson. I had the time to prepare some fruit snack. I scooped some watermelon balls and brought some trail mix to nibble on our way. It took us almost 2 hours to reach our destination driving 94.2 miles from our city. Although there are farm lands in PA, I still favored going on road trips in Ohio side, I just love the relaxing scenery there compared to PA. Again, that's just my personal opinion. Anyway, here are some of the photos I took during the trip. According to Wikipedia, "Indiana is a borough and the principal city of the Indiana, PA Micropolitan Statistical Area. The borough and the region as a whole promotes itself as the "Christmas Tree Capital of the World" because the national Christmas Tree Grower's Association was founded there. There are still a large number of Christmas tree farms in the area." We have seen some Pine tree farms on our way there and hubby and I wondered if they grow it to sell on Christmas or what. That's why searched on it online when we arrived home. We didn't really have time to explore because there was a time crunch but we enjoyed the ride. Indiana is another quaint city. It seems like people there are so friendly. We ate at their Eat 'n Park restaurant and everybody greet you with a smile. I opened a door for an old woman and she gave me the sweetest smile and thank me for being "kind". We passed by this big ranch or mansion and the kids were inspired. They dream of getting a good job when they grow up and getting them a big house. I told them that a big house is not really necessary that they should focus on having a comfortable life and healthy lifestyle and not bury themselves in debt just to have nice things. They got the point but they still dream of having a mansion lol. Well, it is good to have dreams so I will let them dream about stuff. I also told them that if they put their mind to becoming successful, anything can happen and anything is possible. That's one good thing about road trips too, the conversation you make with your family is precious. The kids got excited when we drove by Punxsutawney, they remembered the famous ground hog, Punxsutawney Phil. Ground hog is one of their favorite wild animals. We are always on the look out for them when we drive as they are fun to watch when they eat and do their stuff. I am not sure what kind of industrial establishment is this but they are huge. Seeing farm animals along the way is always a great bonus for us. When we do road trips, I feel bad for my husband because we all get tired and wants to fall asleep but he can't take a rest because he is the official driver. He doesn't complain at all, he loves being on the road, in fact almost every time, he wants to go constantly. For me, I am good staying at home or go somewhere, I am a good sports as long as I won't drive lol. While the guys inspect and ponder upon whether or not they get the this Saturn Sky or not, my daughter and I spent our time having fun outside enjoying the view and taking pictures. The reason why my husband wants this sports car because he said it can be a collectible someday since they stopped making it. I can see how in-love he is on this car so I gave him the go to get it. Oh did I tell you that my son is as obsessed as his Dad with this car is? Yep, they do share the same passion on cars,. The way they describe car sometimes, you would think they are talking about a hot lady model. I could care less of how car looks like, as long as it takes you from Point A to Point B without problem, that's what matters. For men, it's a different case lol.